Until recently, New Mexico and Louisiana honored each other’s concealed carry permits. That has now changed. Now, residents of New Mexico will no longer be allowed to carry concealed in the state of Louisiana, and vice versa. As of yesterday, the NM state government sites shows the updated lists of what state permits are honored and which are not. This brings the number of states which honor the New Mexico CCW permit down from 34, to 33. 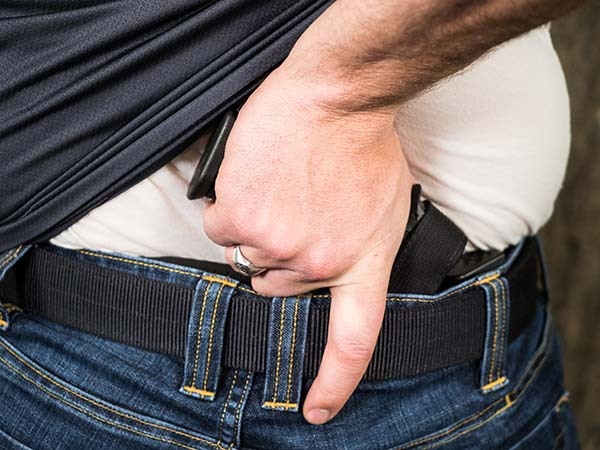 However, since Louisiana recognizes the Virginia Non-Resident concealed carry permit, if you still want to be able to carry there and Georgia as well, which brings the number back up to 35 states where you can legally carry concealed. Alaska, Idaho, Wyoming, Utah, Nevada, Montana, Arizona, Colorado, Nebraska, South Dakota, North Dakota, Minnesota, Kansas, Oklahoma, Arkansas, Texas, Iowa, Missouri, Wisconsin, Indiana, Michigan, Kentucky, Tennessee, Mississippi, Alabama, Florida, Ohio, West Virginia, South Carolina, North Carolina, Virginia, Vermont, and Delaware. Does this effect your concealed carry in any way? Leave a comment blow to let us know. Does New Mexico Accept Online Concealed Carry Classes? © 2019 New Mexico Concealed Carry Classes and Resources. All Rights Reserved.